Mother’s Day 2018 is being observed today and it’s time we all appreciate our mothers for the unconditional love and pillar of support they have been throughout our lives. But some people are really lucky to have two mothers in their life in the form of a sisters, who always look after them. They are no less than the ‘other mother’ and they need to be appreciated for their love and support. WellKareena Kapoor Khan and Soman Kapoor Ahuja spoke about the ‘other mother’ in their lives as part of an ongoing campaign #MyOtherMother. Interestingly, both of the actors share a common admiration for their respective sisters, who they refer to as their ‘other mothers’. Kareena Kapoor, who is the sister of Karisma Kapoor, said, “I am very lucky to be very close to my sister Karisma Kapoor, who has always been there for me. It’s quite safe to say that the Kapoor bonding is apparently evident wherever the Kapoor sisters are spotted. “It’s my sister Rhea as she is amazing. She can just yell at me like my mom does even though she is my younger sister. She is an incredible influence in my life,” Sonam said. 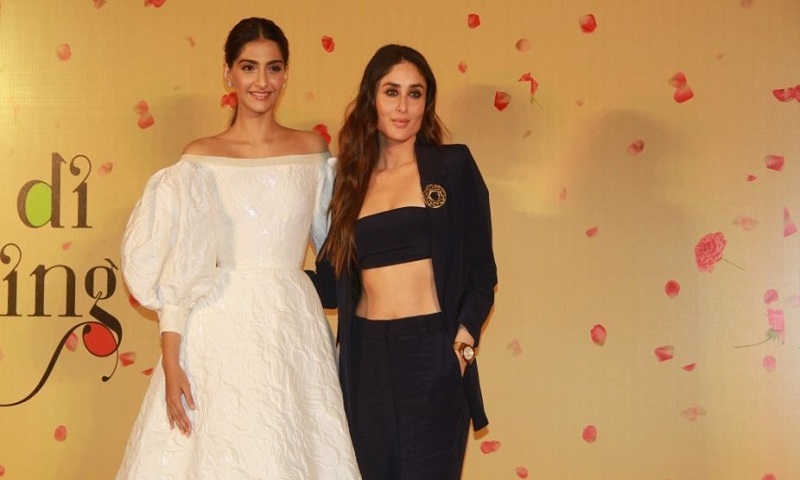 On the work front, Sonam and Kareena are gearing up for their next film, Veere Di Wedding, which is all set for release on June 15.